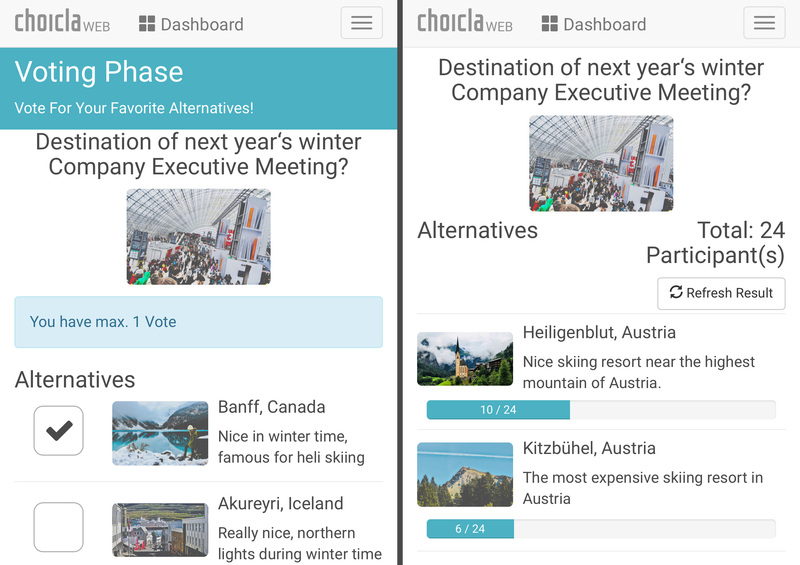 ChoiclaWeb Polls enable you to get instant feedback from your community, when you have to choose between alternatives (e.g., meeting location, restaurant for lunch, smartphone to buy) and are not sure what's the best. 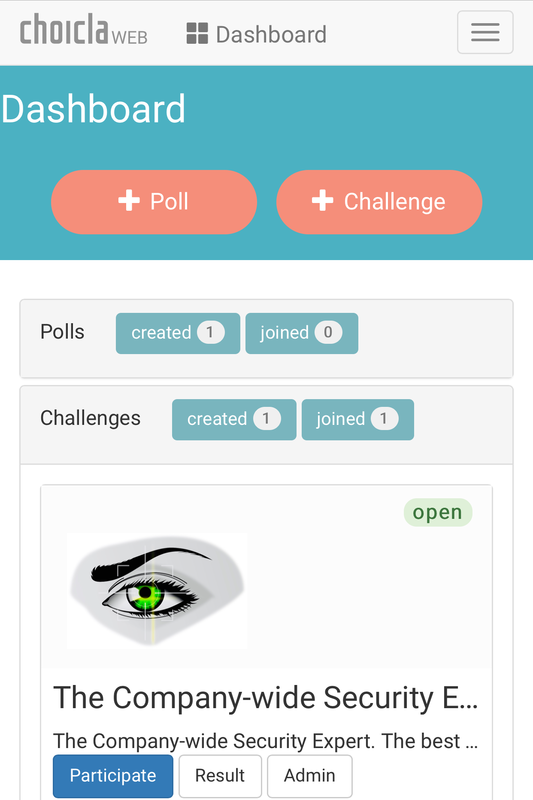 Just create a poll, describe your problem, and show the alternatives. 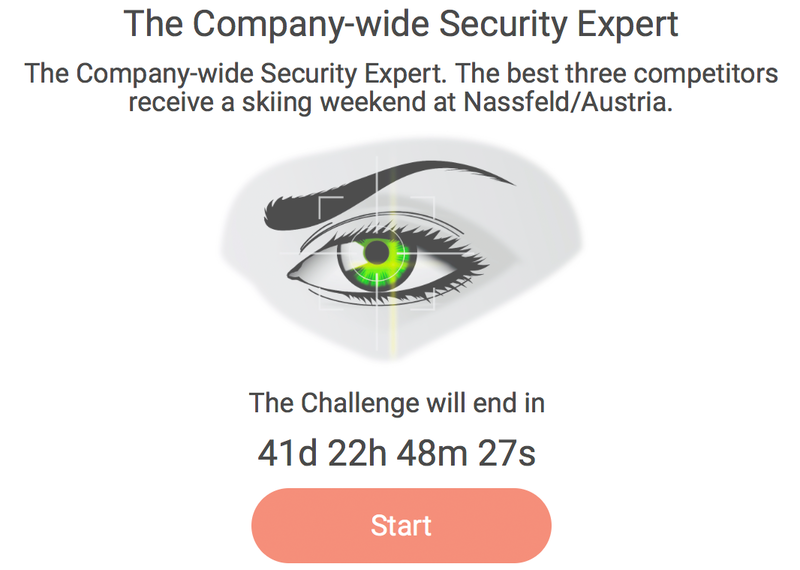 ChoiclaWeb Challenges are an easy way to evaluate the knowledge of a community and to stimulate community engagement. 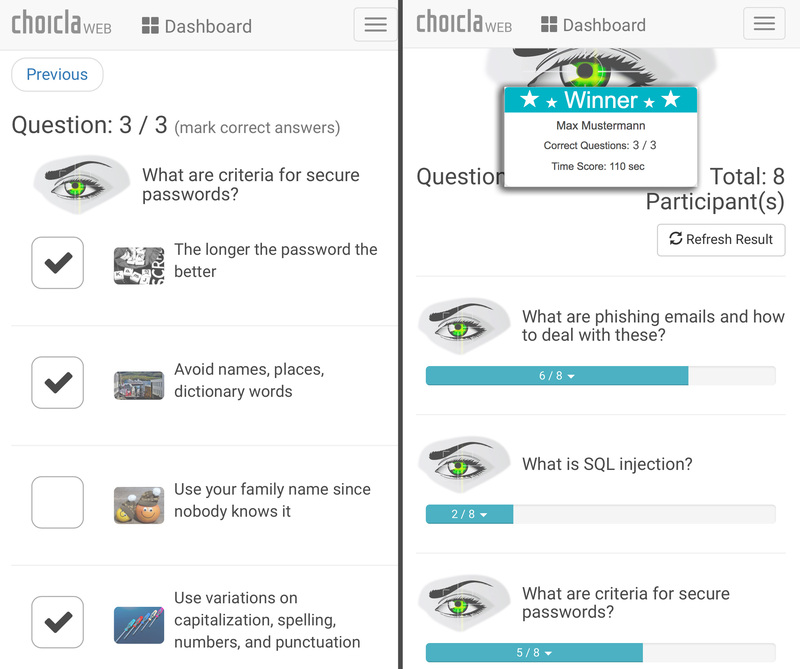 Just enter your multiple-choice questions and related answers, mark the correct ones, and distribute to your community, for example, via e-mail. The ChoiclaWeb dashboard enables you to easily manage and configure polls and challenges. It is available to signed-in users.